Is Daycare Good for Children? Is daycare Good for children? Truth is, even though bad things happen in daycare sometimes, there is a whole lot of good going on in childcare as well. Daycare can be a gift. Quality childcare can have amazing benefits for child development. If you want to find anything negative about childcare, it’s easy to find. When something bad happens in a childcare setting, it’s plastered all over the news and everyone jumps on that like white on rice. No one even gives the provider a second thought. All we hear is CRUCIFY, CRUCIFY, CRUCIFY! Truth is, even though some bad things happen, and that is super heartbreaking, there is a whole lot of good things going on in childcare as well. Bad things can happen anywhere, home, the store, grandma’s house. Daycare isn’t exempt to accidents. There is so much paperwork required for childcare. Making an interview packet helps you have everything at the ready for when your family comes to check out your program. There are many things that need to be in that packet to keep your paperwork on track. In Oklahoma, there are several required items that should be included. Click here to see how to nail a childcare interview. 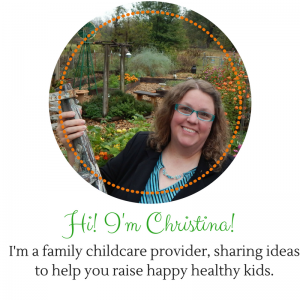 There is Value in Family Childcare! So many times over the past years, I have heard people talk about childcare centers being a better environment for kids than family childcare homes. The general consensus is that centers “teach” the kids more than homes do, the environment is higher quality, and home daycare is not as regulated as childcare centers. That is simply not the case. Do you find yourself wondering if you are on the right path for your life? Do you wonder if you are fulfilling your purpose? I totally believe I was called by God to do family childcare. I totally believe it is my full-time ministry. I was born for it and my whole life has been preparing me. You can follow your calling too.